No matter how carefully a person drafts her will to specify which beneficiaries get what assets, the terms of the document are not self-activating. Most wills must go through the court-supervised probate process where assets are collected and debts paid before property can be distributed to beneficiaries. One such debt involves funeral expenses. The person shepherding the will through probate is called the executor. The executor must pay estate debts with estate assets before he distributes property to the beneficiaries of the will. In California, for example, the statutes set out the order in which estate expenses must be paid and funeral expenses are third, just after estate administration costs and secured debts. While a beneficiary does not pay estate debts directly, the assets of the estate that can be distributed under the will are reduced by every estate bill the executor pays. 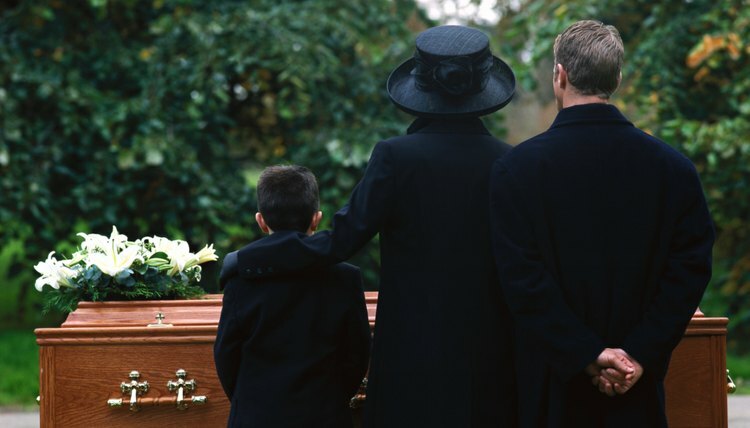 Ohio State Bar Association: When a Loved One Dies...Who Pays the Bills? Can an Estate Be Probated Without a Will?